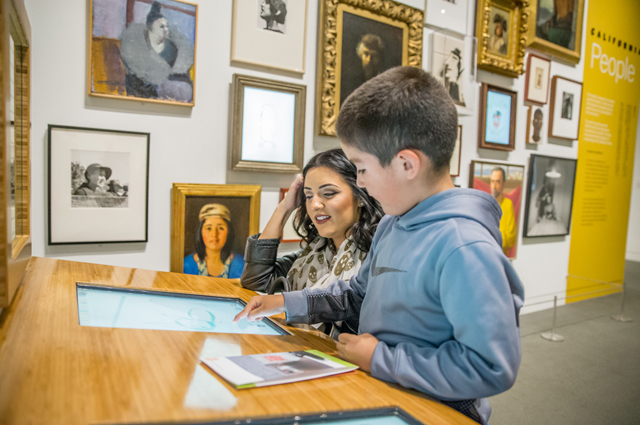 Kick off your weekend with Friday Nights at OMCA! Explore the art and history of California’s LGBTQ+ communities with our brand new special exhibition, Queer California: Untold Stories, now on view. The gardens are open for picnics, live music outside is back, gallery hours are open until 10 pm, and the Off the Grid food truck market expands onto Oak Street. Enjoy hands-on activities for kids and a lineup of live music and dance from local performers that changes weekly. Bring friends and family for a taste of local music, food, and culture at the Oakland Museum of California every Friday Night! Make your own paper crowns decorated with rainbows in celebration of special exhibition Queer California: Untold Stories, now on view.